numbers anywhere on them. They are unbelievably sturdy, massively machined from solid brass components and chrome plated. Obviously, they are uncommon but there are also a substantial number of them around (eBay), and they are all made with the same with interchangeable parts. That leads me to believe that there must have been some sort of a commercial production source somewhere at one time as opposed to a half dozen produced by a single bored machinist during WWII. The fact that they are completely un-marked makes me wonder if there was some wartime production (maybe a torpedo manufacturer) enterprise that made a bunch of them specifically for their employees. Well, I don’t know anything about this pencil but offered to post something on my blog to see if anyone out there does know about them. and provide a decent Pentel is beyond me. There is so much one could say, but for me the worst point is that it is from an engineers association, somewhere where there should still be some respect for the pencil, that most time-honoured instrument of engineering design. Garrrrr, I need a beer. Over the course of this blog quite a few readers have very generously sent me pencils, leads, erasers and other stuff because they liked them and thought I might too. In turn I’ve tried to do my bit, by passing on some of the random kindness. Recently though I received a slightly different sort of gift. 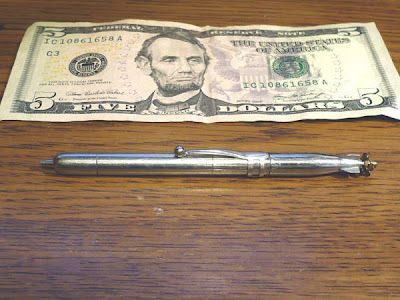 A reader, “Barrel of a Pencil” contacted me, offering to send “the worst mechanical pencil in the world”. Normally I would not have contemplated such a thing, but how could I refuse such temptation, just what sort of shocking abomination would arrive in my letterbox? Well, the pencil was soon entrusted to the postal services, but they must have been effected by bad mojo from the parcel. 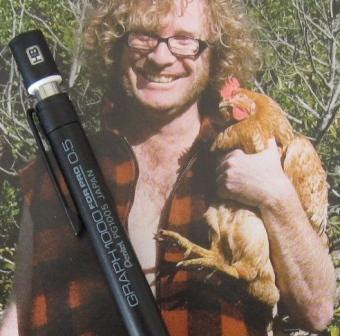 Week, after week, after week went by, until finally when all had been given up, … Normally my pencil reviews are written about pencils I like or thought had something to offer. I am not in the habit of deliberately choosing a piece of junk as my review pencil. However, I felt some obligation to test and review this claim of The Worst Mechanical Pencil in the World. I hoped to give it fair hearing, but I must confess to some bias. I like mechanical pencils and I look for the good aspects, but this time I was starting from the opposite end of the spectrum. This pencil was expected to be bad, not good. Anyway, I tried to give it a shot at a fair review, so... The Papermate Write Bros. is a lightweight all-plastic pencil, clearly made as an economy grade item. My first few minutes of use were bad. The tip wobbled, squeaked and carried on. It appeared to be loose, but didn’t really want to tighten. So, I unscrewed it fully and then screwed it back up good and tight which made an immediate improvement. I am assured by the sender that the pencil was like this straight out of the pack, although on further inspection the others seemed correctly tightened. Putting that bad start aside, it is still fair to say that the body of this pencil is not particularly rigid and does flex under hand pressure. You can actually see the tip flex when you press hard. From comments and contacts I’ve had with readers, I know that many of you out there have some rather extreme ideas of lead positioning precision. Well, this pencil is your worst nightmare. 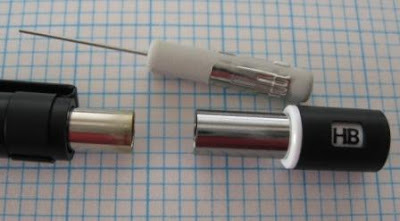 The lead diameter is 0.7mm, and the lead supplied is functional but not particularly good. It is rather coarse to write with, almost as if they use a rough coarse grade of graphite in its manufacture. 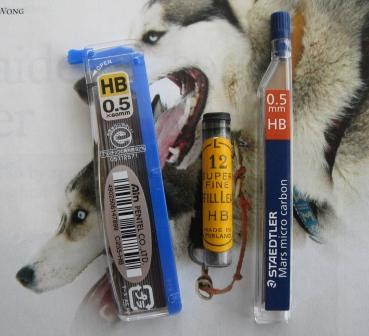 It is not as pleasant and smooth a glide as that of a good quality Japanese HB polymer lead. Having said that, the lead is very strong. Bearing in mind that this is an economy grade pencil, opting for lead strength at the expense of smoothness is an understandable compromise. The leads supplied are standard 60mm length sticks, unlike some economy grade pencils which come fitted with extra long leads. Up at the other end of the pencil there is an eraser. It is a shocker. The pictures below show the result of erasing two words under firm hand pressure. To be fair, it did a semi-reasonable job at erasing, but utterly mutilated itself in the process. This mutilation was such that the torn abraded parts of the eraser then continued to shed eraser dust like a bad case of dandruff, e.g. when it was touched to activate the lead advance. The lead advance mechanism is a standard push top ratchet. 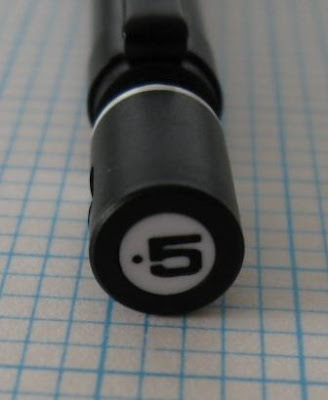 You push on the eraser and the whole black top section moves, including the pocket-clip, which can be a bit annoying. The pocket clip is a rather weak piece of plastic, and I wouldn’t rely on it. 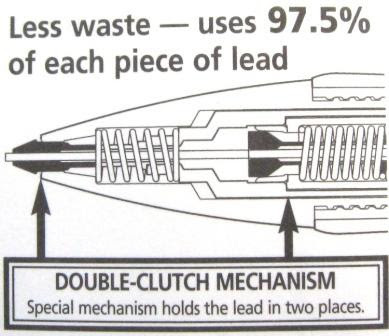 Ten clicks of the mechanism will get you about 10mm of lead. 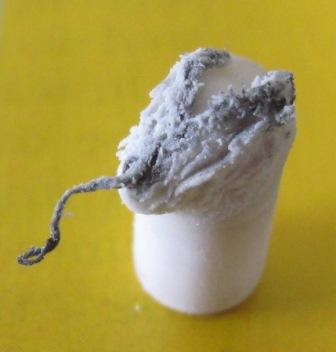 The lead refill chamber is accessed by removing the eraser from its housing. 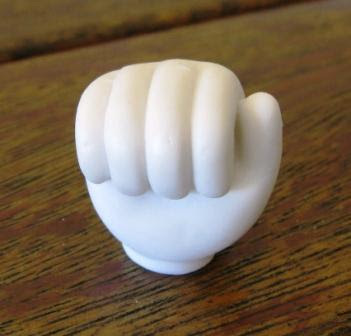 The grip zone of the body it a series of moulded concentric bumps which are reasonably successful. Printed in white on the barrel is “Papermate, 0.7mm”. This is very hard to read on the yellow background. I am always annoyed by pencils that don’t give their model details when they so easily could. 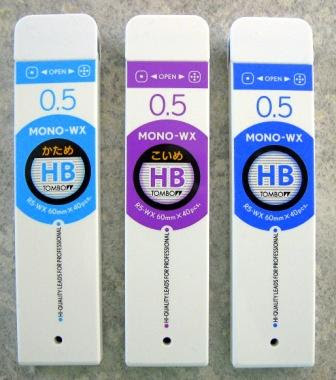 Other solid colours and translucent barrels are also available. Comparisons with the recently reviewed BIC Matic Classic and other economy range mechanical pencils like the Pentel EZ#2 are inevitable. It is not fair to expect too much from an economy price range pencil, but for the price that I see the Write Bros. advertised on many online sites, I would say choose another pencil. Anyone who has wandered the aisles of the $1 Shop and its ilk knows that the title of “The Worst Mechanical Pencil in the World” is hotly contested. So many vie for that crown, and I’m not interested in picking the winner, but despite not being impressed by the Write Bros you can find worse. 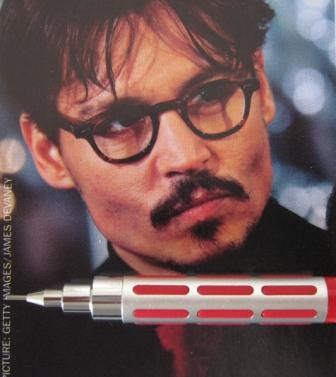 It would after all be surprising if Papermate, one of the giants of stationery supplies, was crowned the Worlds Worst. So, the final verdict is...it's not much of an MP, but it ain’t the worst. 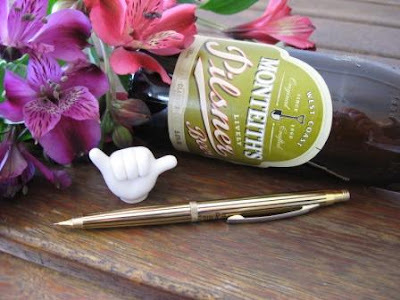 Not So Good Points – The flexing, the eraser. Does This Pencil Make It Into The Top 5? – I think not. 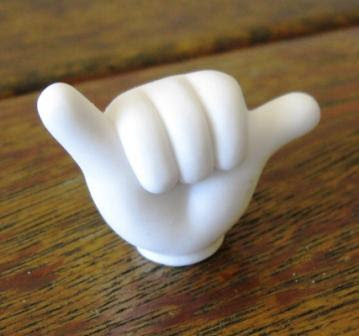 Dimensions – Length 154mm, diameter 8mm. Balance point about 90mm up from the tip, although that is rather irrelevant with such a lightweight pencil. Just how many HB’s do you need? Turns out, a few Japanese companies figure the answer is three. Claes in Lund, Sweden, yeah, it’s all his fault. 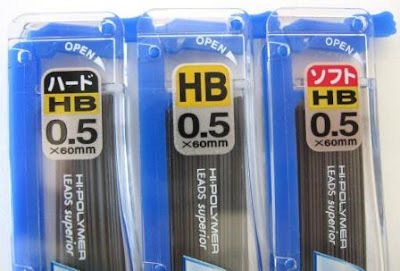 He sent me an email enquiring about those other grades of HB lead they have in Japan. See, I didn’t really even know about them, but I do now. 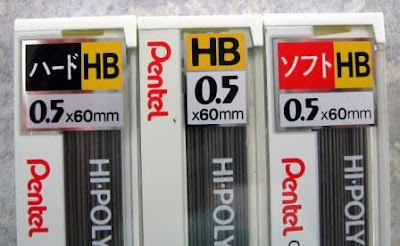 Not content with 2B, B, HB, F, H, 2H etc like most folk, several Japanese lead suppliers have extra grades of HB. 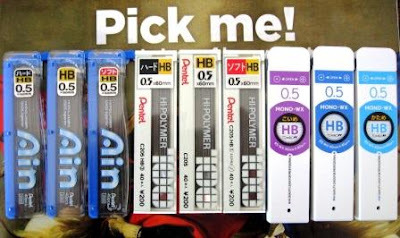 Pentel have HB1, HB, and HB3 in their Ain (C255) and Hi-Polymer (C205) ranges, with HB1 being “softer” and HB3 being “harder”. They don’t have HB2, it’s just HB. 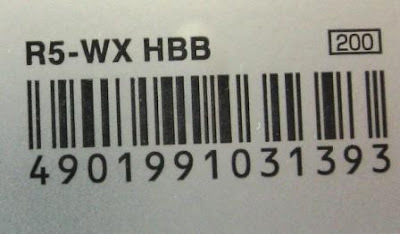 On the other hand Tombow WX has HBB, HB, and HHB with HBB being “darker” and HHB being “harder” (not “lighter”). How the heck was I supposed to ignore this? More to the point, how come I didn’t really know about them already? Basically the answer is “I don’t read Japanese”. See, they don’t really make it that obvious. No big HB3 or HBB on the front. Just some Japanese characters, which are fairly clear to your average Japanese person, but are meaningless to me. Now I think about it, I think I had seen pictures before but never grasped the significance of those few Japanese characters. I probably just saw HB and that was the end of it. Buried somewhere in the fine print, usually over on the label on the back, though we have… Obviously money had to be spent and leads acquired. Food for body and mind. Maybe I’m just not a sensitive discerning person, but normally I have to skip a lead grade to find a significant difference. By that I mean 3B to B is a difference I can tell, but 3B to 2B is pretty hard for me to tell apart. Thus I had my doubts about these HB’s, but you just can’t ignore the challenge. 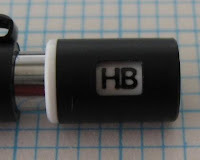 Now that I’ve tested them out, the truth is I can’t really tell much difference between the three HB’s. Below is a photo of a test series of Pentel Ain 2B through to H. You can see a gradual change along the series, but there’s not a lot of difference between any one individual and its neighbour on either side. In any one individual test it’s not too hard to convince yourself you can tell the HB's apart, but when you try and repeat it, well it all gets confusing. I didn’t spend hours doing all sorts of tests, but whilst a lot of the results were contradictory I think overall if I was doing some statistical analysis on my results then I suspect it would show that HB3, the harder of the HB’s was a little different to the other two HB’s and was “statistically different”. But HB to HB1, that’s a little more confusing. Plenty of times though I’d pick up HB1 and HB3 and not be able to tell the difference. Apparently, way up there in Sweden, Claes and his Number One Wife have been doing all sorts of tests too, some involving blindfolds, and they can’t tell much difference either. Still, I think it keeps them happy on those long cold dark Arctic nights. Don’t get me wrong, I'm not saying there isn’t a difference between these grades of HB. These leads are by reputable Japanese companies. I don’t doubt for a second that their formulations are different, and that their specialist QC staff can tell them apart. What I am saying is that the differences are rather small and most of us would have trouble telling them apart. My friend in Japan isn’t really sure about these extra HB grades and the rationale for their existence. He thinks they have been around for about 10 years, and perhaps as most schools recommend HB, and many shops only stock HB, the multiple grades of HB allow sales and marketing folk to create (an illusion of) choice and get us to buy different ones. They get to have 3 HB’s on the shelf, more than the other guy who only has one HB. Yeah, well, we all know this worked on me, but I think it’s just a scam to get me to buy more. Marketing wallahs – more contenders for first against the wall when the revolution comes. Sometimes I wonder if collecting mechanical pencils is really just a front to hide my true obsession – lead refills. Anyway, here’s some old Atlas leads I recently acquired. Brand new old stock still in their original boxes. The leads are ‘super fine’ size, that’s 1.18mm diameter, which isn’t exactly super fine by today’s 0.3 and 0.2mm standards. 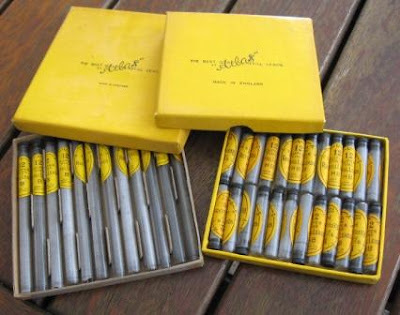 There are 12 sticks per tube. The tubes are glass with black plastic stoppers. 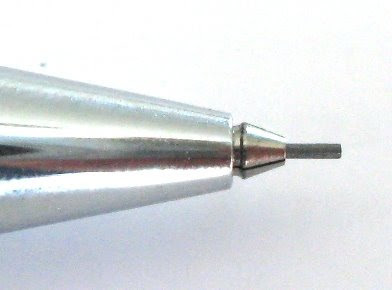 These days virtually all common thinner diameter lead refills are 60mm (about 2 and 3/8th inches) long, but you can also find 75mm and some other sizes. 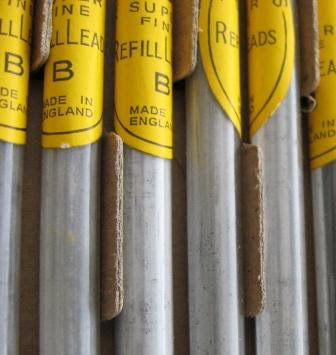 Things weren’t so voluntarily standardised in the old days, when there was quite a selection of lead lengths. My two boxes are two of the common older lengths. The long ones are 100mm (4 in.) long, and the short ones are 32mm (1 and ¼ in.) long. I like the idea of how the box for the long tubes has had its cardboard base cut and flaps folded in to act as dividers and protectors for the tubes. You can see the flaps between the tubes in the photo below. 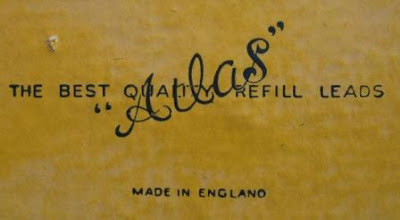 “Atlas”, The Best Quality Refill Leads, Made In England. My guess is that these leads are from the 1950’s - 60’s. There is a price marked on one box in pre-decimal currency. NZ changed from pounds to dollars in 1967 so it seems safe to assume the leads predate that. I have a gut feel that the plastic stoppers imply post World War II. 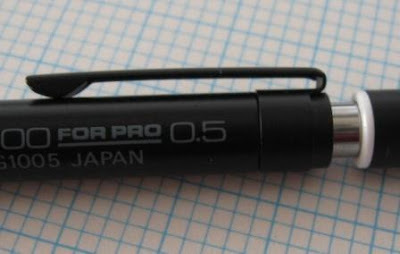 Strictly speaking, this pencils full title is ‘Graph 1000 For Pro’, rather than just ‘Graph 1000’, and don’t confuse it with the somewhat similarly named ‘Graphgear 1000’. The Graph 1000 has been around a fair while and is something of a classic. Well, at least in my mind. 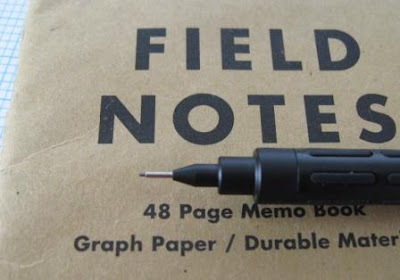 Having said that, I note that the Graph 1000 is not on the Pentel USA website, but is still on their Pentel Store shopping website, where the text states it is available in 0.5 and 0.7mm lead diameters but then the purchase selections are 0.3 and 0.5mm. I love a well coordinated and maintained website. At one time or another, in one country or another, the Graph 1000 has been available in 0.3, 0.4, 0.5, 0.7 and 0.9mm lead diameters. For the purposes of this review I used a PG1005, that’s the 0.5mm lead version. I like the looks of my PG1005. A serious no nonsense technical look that says this is the tool of a competent professional designer, yet with those long lean straight lines and black satin sheen finish it is equally at home in a business boardroom meeting. Classic style. 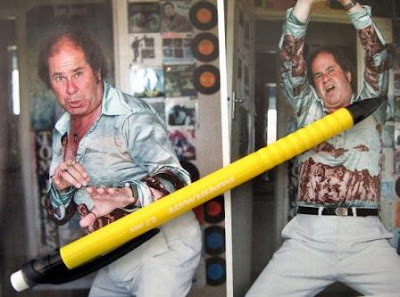 A pencil for all situations. In the hand the Graph 1000 is quite lightweight and neutral feeling. The lead sleeve is a fixed 4mm fixed pipe - eminently suitable for draughting but particularly pocket-unsafe. The lead seems very securely held and precisely positioned within the lead sleeve, with little to no play between the lead and pipe. The lead advance mechanism is a standard push top ratchet. Ten clicks will get you about 5.5mm of the 0.5mm lead. 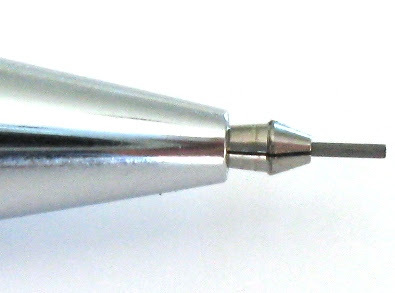 The lead diameter of your particular pencil is indicated on the top of the push top button. This could be useful for those who have a selection of Graph 1000’s in different lead diameters all sitting together in a pencil cup. The top button is also a lead hardness indicator. You simply twist it around until the window shows the desired grade. It’s a simple friction click-fit sort of system keeping the window in place. Nice and positive positioning. 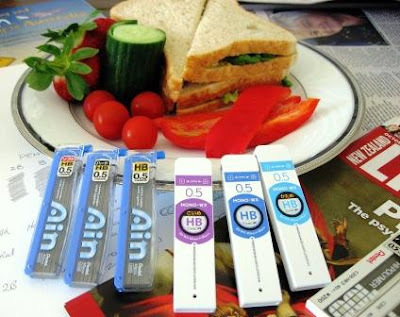 The lead grades available for display are B, HB, F, H, 2H and 3H. As you would expect, there is a small eraser under the top button. It is also equipped with a lead clearance rod. 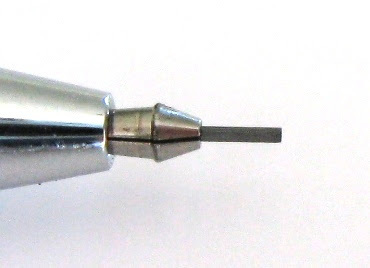 You remove the eraser to access the lead refill chamber. I did not notice any annoying squeaks or rattles when using my pencil. The grip zone of the Graph 1000 consists essentially of a round metal pipe section with rubber inserts. 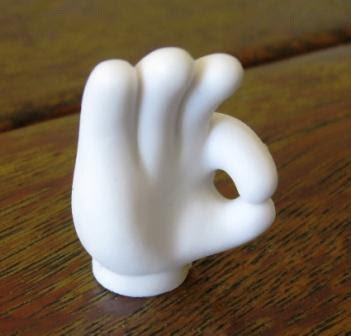 The rubber inserts are rectangular with rounded ends, about 10mm long x 2mm wide. The insert sticks though to be slightly raised above the surrounding surface. When I say slightly I mean about 0.1 – 0.2mm. There are six inserts spaced evenly around the circumference of the grip, and three rows of inserts up the body. It is all black on black so a little hard to show photographically but I’ve mucked around with the photo below so hope you will get the idea. 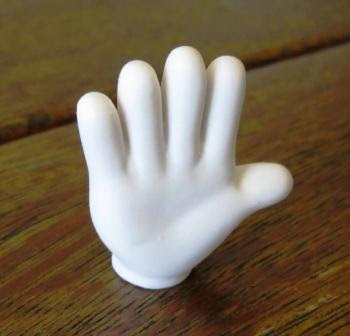 We all know rubber grips are not my favourite but this one is an attempt to give the best of worlds - a rubber grip that isn’t too rubbery. It does work reasonably well, although I would suggest a little less distance between the rubber inserts might be an improvement. 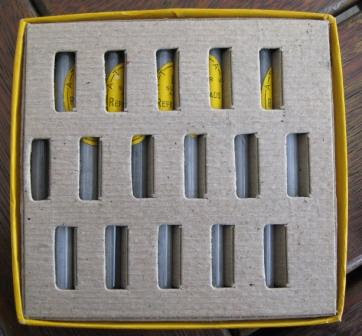 Seven or perhaps eight inserts spaced around the circumference rather than six. I have seen some very worn inserts on well used Graph 1000’s. There was a time when it was stocked in the stationery cupboard at my work. 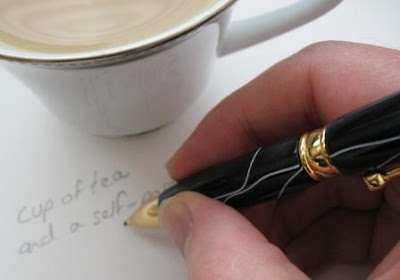 You can feel the rubber inserts under your finger and may find yourself rotating the pencil to keep the inserts beneath or between your fingers according to your personal preference. For me personally it also makes me a little more aware of how tightly I am gripping the pencil. The pocket clip is quite small and unobtrusive, but is a good and sturdy. 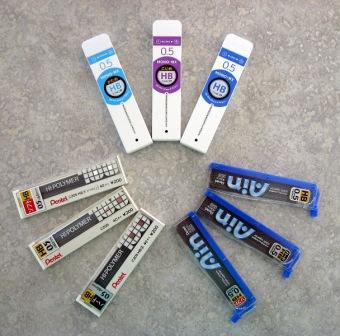 Printed onto the upper barrel area is “GRAPH 1000 For Pro 0.5, Pentel PG1005 Japan”. 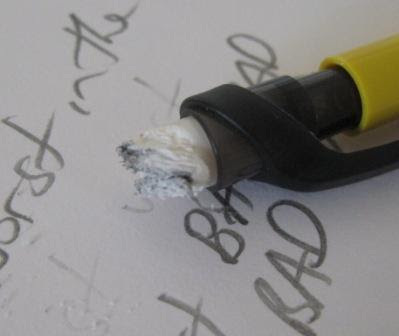 I am always in favour of such clear full markings – no problems identifying your pencil make, model, etc. Convenient for people with hundreds of pencils! Overall then this is an excellent pencil and a worthy addition to any collection. Best Points – A good overall package, the styling. 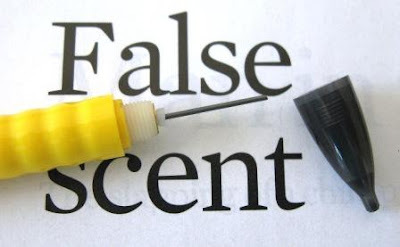 Not So Good Points – Not many, not pocket safe. Does This Pencil Make It Into The Top 5? – A contender, but No. 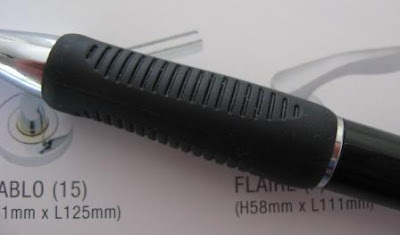 Dimensions – Length 146mm, diameter 9mm at grip section. Balance point about 70mm up from the tip. 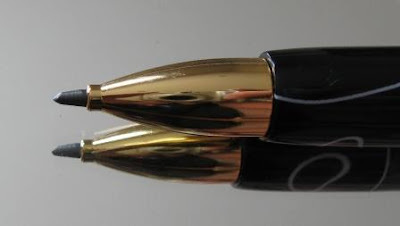 Recently Pentel released the Graph 1000 Limited in a selection of different coloured bodies with the grip section being silver metal (sand-blasted aluminium?) 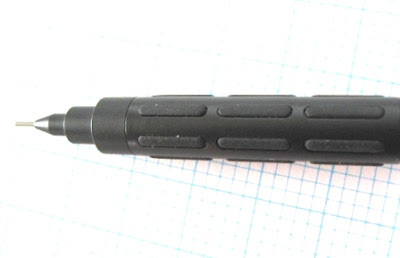 with coloured rubber inserts, and the tip section and pocket clip being chrome. Up above I said that the black version was a classic style, so the Limited appears to be an attempt at another section of the fashion market. A different type of cool? 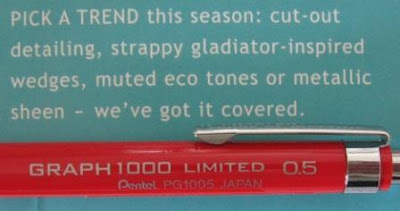 Somehow I suspect the Graph 1000 Limited is actually a Special Edition rather than a Limited Edition in normal writing instrument parlance. The term Limited Edition usually means a limited number of items will be produced, whereas a Special Edition usually means the item will be produced for a limited period of time without any quantity limit.